I’m a big fan of Philip Pullman. His forthright comments on education, age branding of books and a number of other causes often have me cheering in support. This quite apart from the fact that his books are total gems and they have universal appeal to both adults and students in my school that his magical touch with story is wonderful. Here is his lecture on the 40th anniversary of the Open University. He is talking about the Borderland – the interaction between words, pictures and the reader’s imagination. He talks about his favourite illustrations from books he loves. If you are of a certain age you will recognise some instantly. Set some time aside to have a listen to him. I know it goes for over an hour but it is stimulating and inspirational. Cover some books or something with the sound up! Do your students love to draw …. of course they do. I’m going to show this to my secondary school students but I know for sure that my primary school age nephew and his mates would love these too. Courtesy of the fabulous Guardian Books site where I am hanging out a lot recently this is a series of ‘how to draw’ instructions. Bunnies, Monsters, Penguins and Yeti are there so far but more are coming. My fave is the bunnies. You have probably noticed the frequent use of data visualisations or infographics in reports, presentations, magazines, on tv, and certainly in online media. But have you thought about using them in your library? An infographic is a visual representation of data. It is about making important data information available in colourful, easy-to-read illustrations. Many of us, including students, find it easier to visualise information, data, or knowledge with a graphic present. 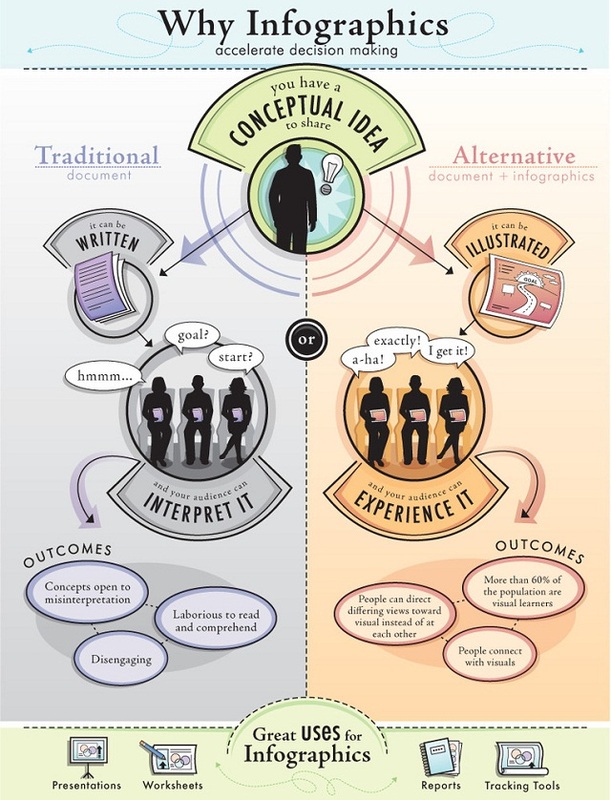 Stephen Abram suggests representing data as an infographic, as he has illustrated here, improves the understanding of data concepts or topics. With a colourful and engaging design, positive learning outcomes are achieved.